Mass and weight, illustration. A one kilogram mass being weighed on a newton meter. Mass is a measure of the amount of matter an object contains, and is constant in any situation. Weight, on the other hand, is a measure of the effect of gravity on mass, and thus varies as the gravitational field does. 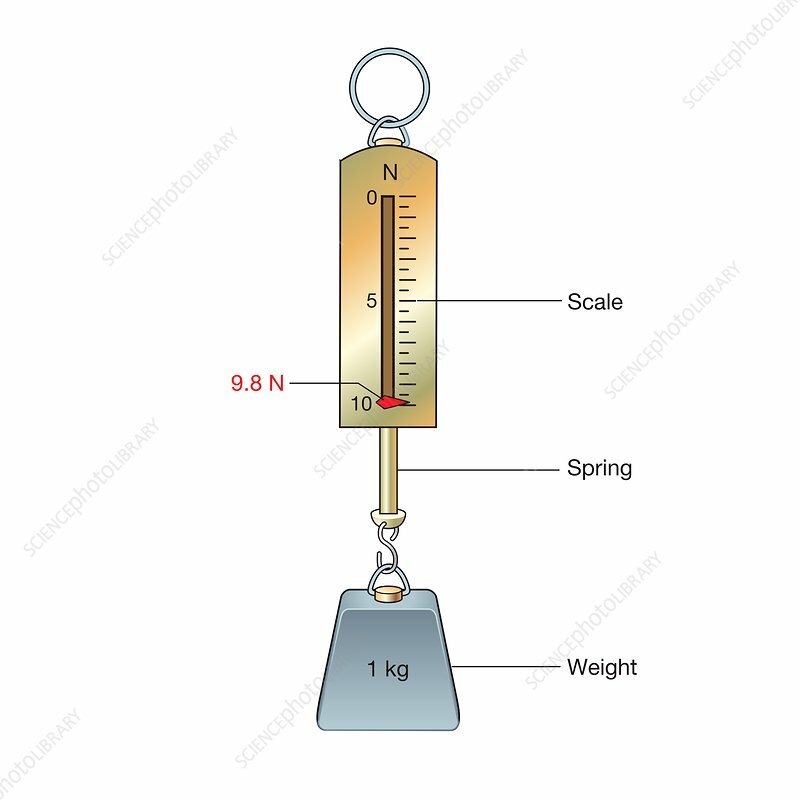 The newton meter is reading 9.8 Newtons as Earth's gravitational field produces an acceleration of approximately 9.8 metres per second per second. On the Moon, whose gravity is one sixth of Earth's, one kilogram would weigh approximately 1.6 Newtons.